KANGAR: Food truck which is fast becoming a regular feature in the Malaysian food scene at even the most remote locations, is now seen as a potential area to produce more entrepreneurs with their own brand of products. Realising the lucrative prospect of food truck, Perlis MARA has taken the initiative to gather such entrepreneurs in the state to promote their food to the people and to provide assistance since last year. Its director, Lukman Hakim Hasan said the agency started the food truck community platform in the compound of MARA here every fortnightly for them to conduct their business. He said apart from grant to acquire the truck, MARA also provided tables and chairs and other equipment to create an air of festivity at the gathering. “Many entrepreneurs have wisely seized the opportunity to join the community due to the high aesthetic value of their food as well as the lucrative returns. “From here, food truck has expanded their business by building their own brands of food and drink which enable food truck to carry on as a viable regular business,” he said in an interview with Bernama here today. 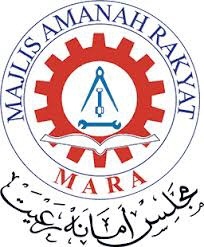 MARA also helped entrepreneurs in terms of branding, packaging and halal certification so that they would be able to expand their market, he said, while inviting interested parties to have their own truck and join the community to expand their business. An entrepreneur of Real Ice Blended Food and Beverage, Mohd Isa Amsery Tahir @ Daeng Massega, 48, when met by Bernama said the food style trend was moving towards food truck. He had graduated from trading in night market with his wife Sharifah Hasni Syed Hussein, 46, to food truck business in 2015 under the guidance of MARA and had succeeded in creating his own brand of coffee called ‘BUGI’S’. He wanted to share his BUGI’S brand of coffee with other food truck operators or even coffee stall owners to expand his business. “To be successful, we have to work hard and be patient. Thank God, the response was encouraging even though it was slow in the beginning and I am earning between RM7,000 to 9,000 a month,” said Mohd Isa. He thanked MARA for the assistance and guidance including planning his marketing strategy and he hoped the agency would continue to assist other young and budding entrepreneurs due to the large initial capital of between RM70,000 to RM150,000 depending on the type of trucks and equipment required. Mohd Isa said currently there are about 35-foot trucks in the community and they were mostly young business people.